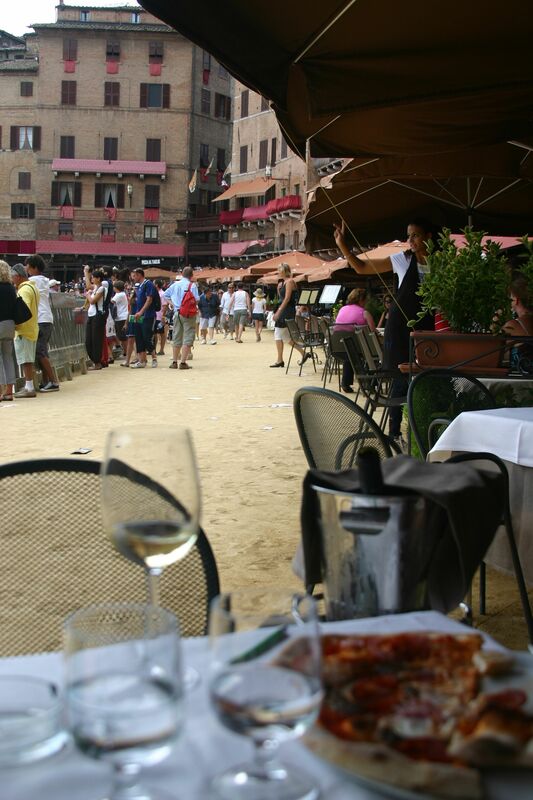 After the assigning of the horses, much of the Piazza del Campo goes back into normal business mode, the stands are at least partially collapsed and the tables and umbrellas brought back out only now they are literally on the horse track! This happens extremely quickly! 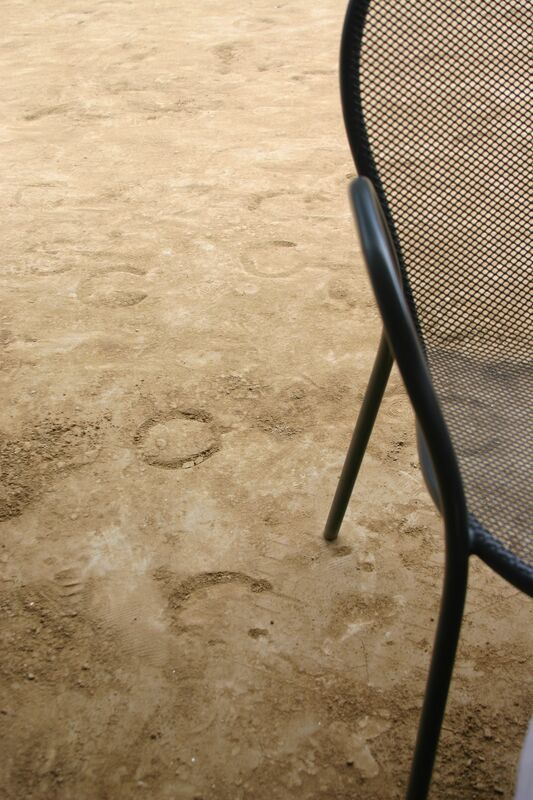 Linda and I decided to have pizza at Il Campo and the prints of the horseshoes were literally all around and under us! I liked that feeling! This entry was posted in Contrada, Italian language school, Palio, Siena and tagged Piazza del Campo. Bookmark the permalink.